The concept of energy healing (of which Reiki is one form) has been around for centuries but has always been seen as a spiritual practice. The “laying on of hands” was mentioned in the New Testament of the Bible. In the New Testament, the laying on of hands was associated with the receiving of the Holy Spirit (See Acts 8:14-19) It was not seen as having a basis in science until recent years. Scientific studies have been emerging over the last decade or two, as well as new technologies that allow us to measure the effects of energy healing. One of the technologies that has been developed is the SQUID magnetometer. This devices allows as to detect “tiny biomagnetic fields associated with physiological activities in the body. 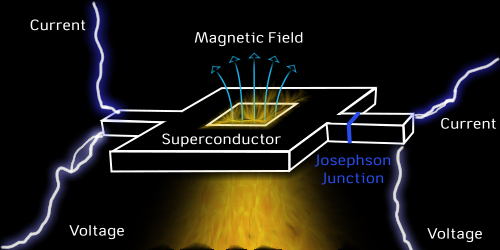 This is the same field that sensitive individuals have been describing for thousands of years, but that scientists have ignored because there was no objective way to measure it.” (http://www.reiki.org/reikinews/sciencemeasures.htm) This was discovered by Gerhard Baule and Richard McFee of the Department of Electrical Engineering at Syracuse University. 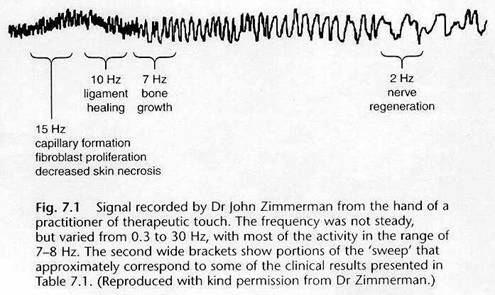 Dr. John Zimmerman and Dr. Robert O Becker investigated “the pulsating biomagnetic field of the practitioner’s hands during a Reiki session. The biomagnetic field of the hands of working practitioners has been recorded as 1,000 times greater than normal. These pulses were discovered to be in the same frequency range as the brain waves, sweeping between 0.3 – 30Hz, but focused mostly in the 7 – 8Hz, which we now know is the same frequency as the alpha state in the brain (Sabrina, UK Reiki Federation)”. (https://alhardin.wordpress.com/2014/09/28/effects-of-reiki-on-the-brain-and-body/) These frequencies also correlate to the frequency of the earth’s electromagnetic spectrum. “Published studies have looked at the effect of Reiki on measures of stress hormones, blood pressure, heart rate, and immune responsivity, and on subjective reports of anxiety, pain and . The studies to date are typically small, and not every study is well designed. However, overlapping data from some of the stronger studies support the ability of Reiki to reduce anxiety and pain, and suggest its usefulness to induce relaxation, improve fatigue and depressive symptoms, and strengthen overall “Wellbeing is a state of balance or alignment in body, mind, and spirit. In this state, we feel content; connected to purpose, people, and community; peaceful and energized; resilient and safe. In short, we are flourishing wellbeing. The Cochrane Database of Systematic Reviews contains a review on the use of touch therapies (including Reiki) for pain and a protocol for use of Reiki for psychological symptoms.